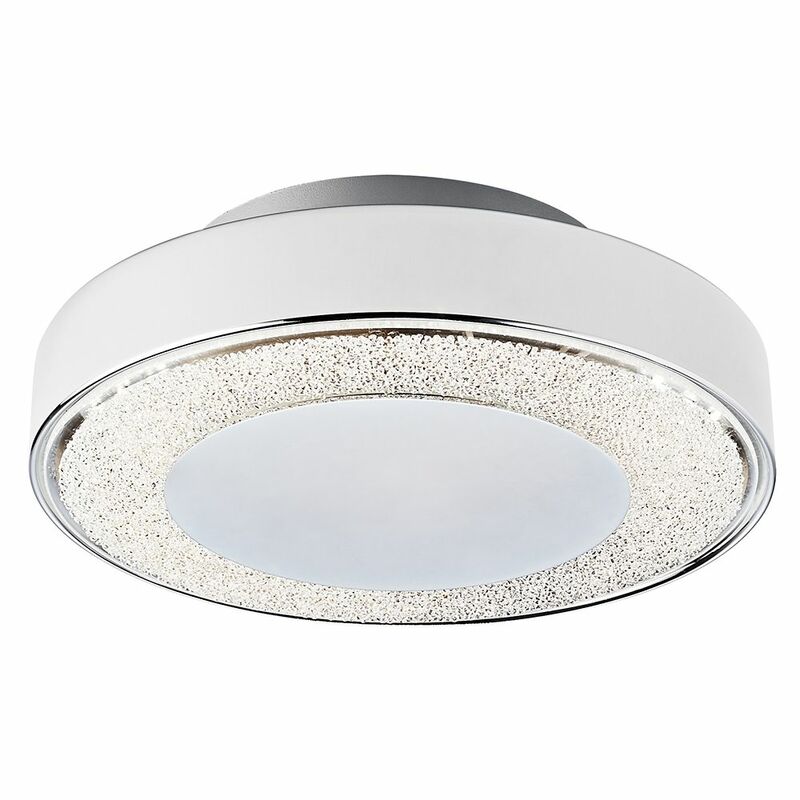 Contemporary and unique circular LED powered ceiling light fitting with chrome plated cover and surround. 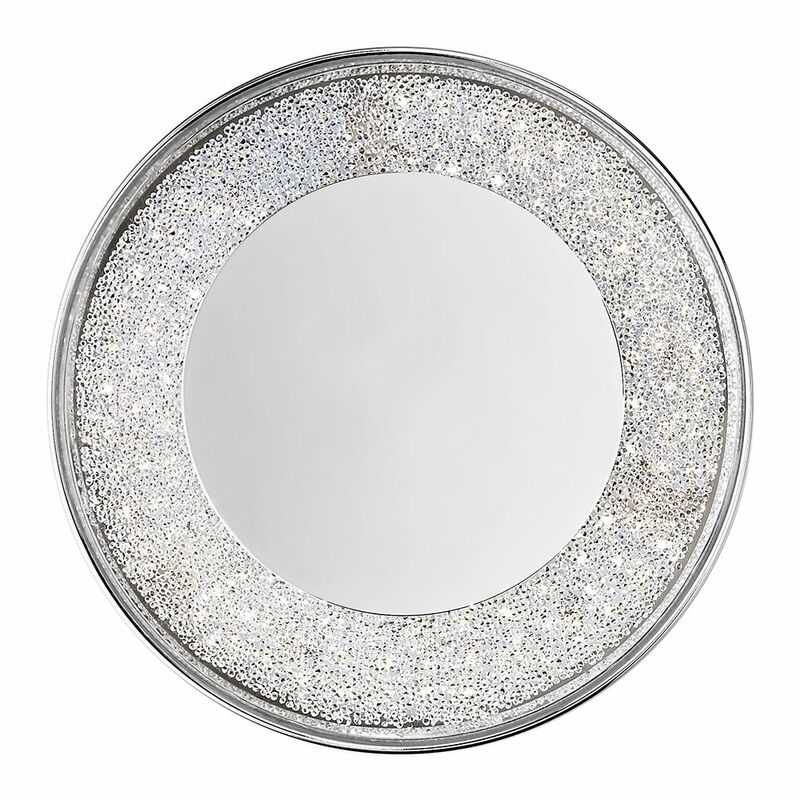 Features high-quality clear acrylic cover in front of crystal effect textured glass decoration. Total product dimensions are: Height - 7cm, Diamater - 30cm. Includes 1 x 18watt (equivalent to approximately 100watt) 4000k Epistar LED - non-replaceable. This item is strictly not suitable for dimming. Complete with 2 year guarantee with approximately 20,000 hours usage.